Wood burning pizza ovens enable you to cook pizzas quickly and easily to perfection using wood as the source of fuel to give you unique flavours. The wood-burning oven combines an authentic stone oven cooking environment with a uniquely large, elongated entrance for easy access and viewing of the cooking floor. 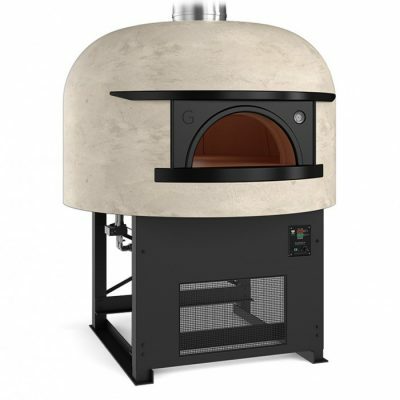 We deal with wood burning pizza oven brands such as Gozney. Browse the range of wood burning pizza ovens here at Euro Pizza Ovens and get a standard warranty from 2 years up to 5 years.